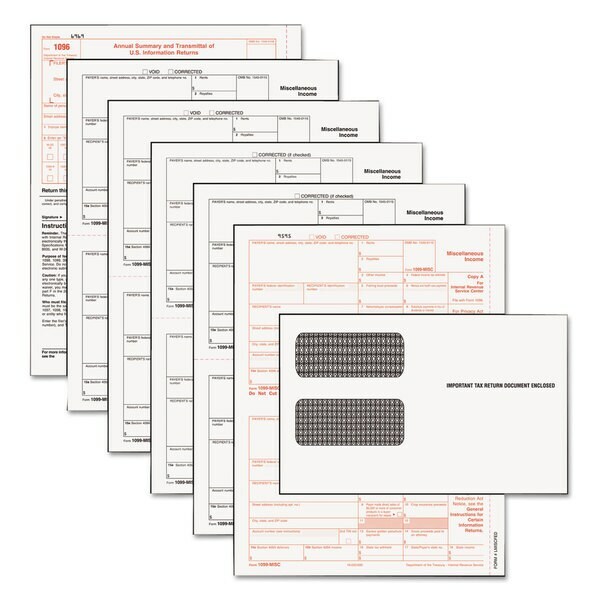 Kit includes 24 five-part 1099-MISC forms and 24 matching envelopes -- all in one convenient package. Forms process smoothly through both inkjet and laser printers. One Form 1096 is included with each 1099 pack. Two forms per sheet. For inkjet/laser printers. Form Size: 8 x 5 1/2; Forms Per Page: 2; Form Quantity: 24; Sheet Size: 8 1/2 x 11.